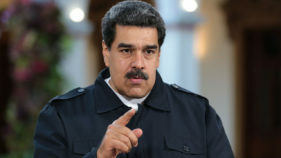 The Mexican Football Federation said Wednesday it has opened an investigation into whether Diego Maradona violated its ethics code when he praised Venezuelan President Nicolas Maduro after a recent match. 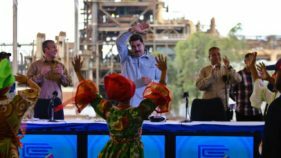 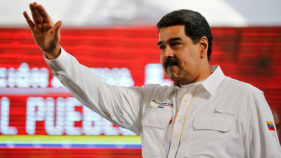 Venezuela's President Nicolas Maduro announced 30 days of electricity rationing Sunday, after his government said it was shortening the working day and keeping schools closed due to blackouts. 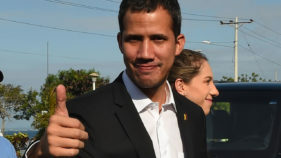 Venezuelan President Nicolas Maduro's regime, bolstered by a Russian military deployment infuriating the US, on Thursday announced a ban on Washington-backed self-declared interim leader Juan Guaido holding public office. 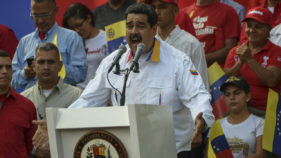 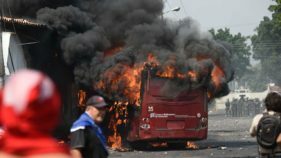 Opposition supporters in Venezuela were set to take to the streets Monday after leader Juan Guaido called for mass protests against President Nicolas Maduro -- as the self-declared interim president prepared to return after a week touring Latin American allies. 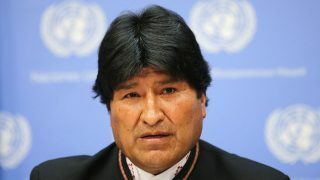 Bolivia's leftist President Evo Morales said Thursday the "drums of war" were damaging Latin America and lashed out at US "aggression" targeting his Venezuelan ally Nicolas Maduro. 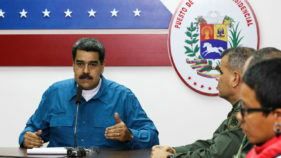 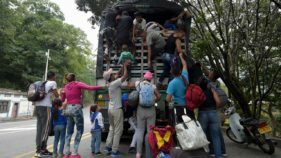 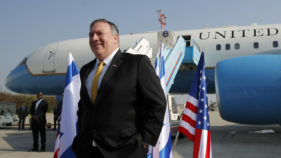 US Secretary of State Mike Pompeo expressed confidence Sunday that embattled Venezuelan President Nicolas Maduro's "days are numbered," amid a violent impasse over humanitarian aid.